Amazon and Google have delivered a digital wake-up call to enterprises across all industry sectors. To respond, CSPs need to undertake a digital transformation to become flexible and profitable enterprises that can innovate more rapidly, operate more efficiently, and make better use of available resources. Communication between people, devices, and machines is becoming more collaborative and frequent. CSPs need to manage and gain actionable insights from the exabytes of data generated each day and use these insights as the basis for new digital services. 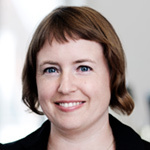 Carla Arend is a program director with the European software and infrastructure research team, responsible for managing the European storage research and co-leading IDC's European cloud research practice. Arend provides industry clients with key insight into market dynamics, vendor activities, and end-user trends in the European storage market, including hardware, software and services. As part of her research, she covers topics such as software-defined storage, OpenStack, flash, cloud storage, and data protection, among others. In addition to syndicated research, Arend has worked on many custom consulting projects identifying opportunities in the European storage software and services market and has authored white papers on subjects such as Big Data, cloud storage, data protection and recovery in virtualised environments, archiving software, and virtualisation software. Arend is regularly asked to speak at industry events, strategy workshops, sales kick-offs and training, partner events, and end-user events. Arend holds a BA in business administration from University of Mannheim and an MSc in business administration and management of technology from Copenhagen Business School, in addition to course work at the Asian Institute of Technology (AIT) in Bangkok. Stefan is Head of Cloud Market Development at Nokia, responsible for the market positioning of Nokia cloud to enterprises and communication service provider. Having held several positions in sales, marketing, operations and business lines in the ICT industry for more than 20 years, Stefan has gained extensive knowledge in both, the datacenter space as well as the telco space, with global market insight and first-hand experience from Asia and Europe. Clare McCarthy heads the strategic marketing for mobile networks, and is currently focusing her activities on 5G and Telco cloud & digital transformation. She has + 25 years industry experience and worked previously with BT Group Strategy and as practice leader for a global telecoms research and consulting company.